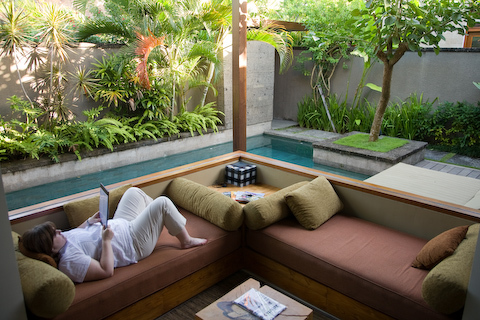 School is out and there’s only one place to go to relax, Bali. 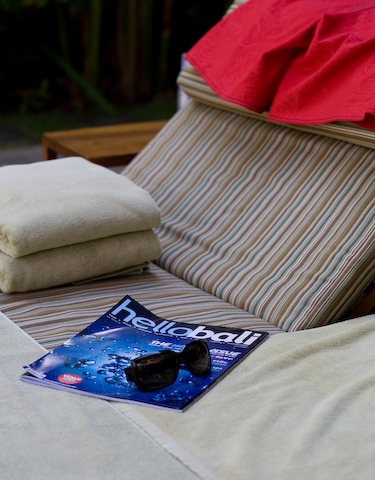 Bali’s casual, laid back atmosphere is perfect for lounging around by the pool, taking a walk on the beach at sunset (gag, how cliche–but it really was nice), and taking long naps. We decided to break our tradition of staying at the Oberoi and stay at a place next door called the Elysian. 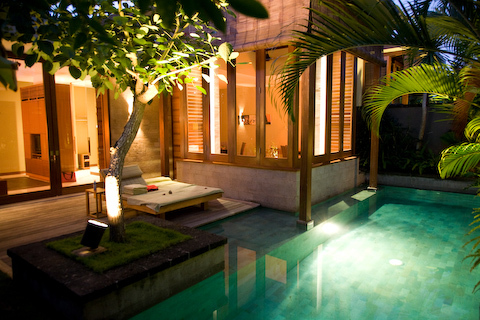 There are 26 secluded villas each with a private pool. 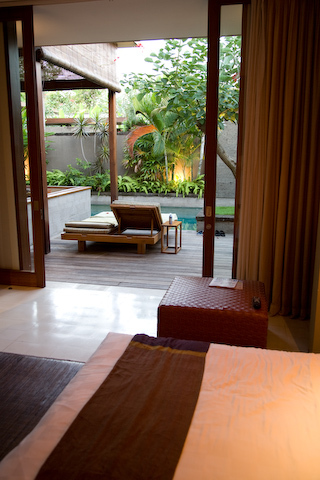 Both hotels are in Seminyak which is just north of the main city in Bali. 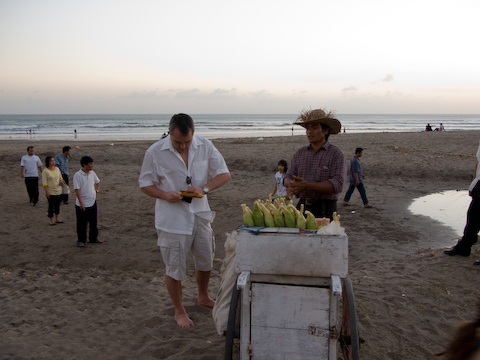 Kuta is a large bustling city with lots to do, while Seminyak is much quieter and features mostly small boutique shops. 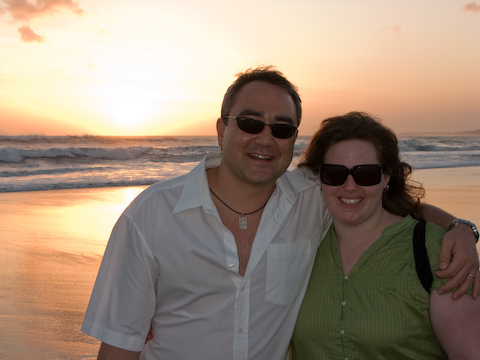 Our home away from home in Bali. The living room is the part in the center of the photo and the bedroom is on the far left. 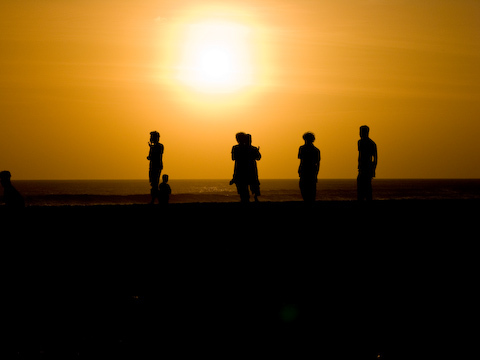 Some Balinese enjoying the sunset from the beach. Roll out of bed in the morning and right into the pool. Getting some gas for the scooter from an old bottle of Absolut. That bottle was 7000 Rupiah, or about US$0.70. Looking out from the living room toward the pool. The windows/walls slide back to expose the entire living room in case you want to dive from couch straight into the pool. This is some good corn. The cob is roasted over a fire and then you have the choice of a sweet glaze or a spicy, chili glaze. I went with the sweet and didn’t regret it at all. We’ll see later if I end up suffering from Bali Belly. Sorry if there are lots of typos, my editor is fast asleep next to me. I am SO jealous! The room looks fab, what sheer luxury to have a private pool. Have fun! Wow! What a beautiful place. I’m jealous too…a private pool with a room that has windows that open right into the pool? Wow! That just sounds (and looks) amazing. Did you get “balibelly” from the corn? Laura, did the hat make it?